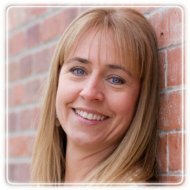 Lafayette Therapist: Karen Thacker - Therapist 80026. Session Fees: $90 per 60 minute session. I take a limited number of sliding scale clients. I can process HSA debit cards. I do not take insurance but can give you a receipt for services which you can submit for reimbursement. For a variety of reasons you are looking for a therapist. Maybe it's for a friend who is having a hard time coping with life. Maybe it's for yourself because you are in a lot of pain right now and you desperately want to feel better. Perhaps your boss or a significant other has told you that you have to change or the job or person will not be around for you anymore. Whatever the reason, I believe that therapy can be the start to a more productive and healthy life. This may be the climactic moment in your story. The moment you decide to do something for yourself that will alter your future for the better. Psychotherapy provides the insight and tools that help us figure out how we have gotten to this point in our lives. In my practice, we look at your past to determine the wounds or negative messages you received which have dictated your unhealthy actions; actions that are the reason you are seeking counseling. We then work on the truth about who you are, not the lies you have been led to believe. Using a variety of tools and techniques, we work on helping you to heal the wounded parts, absorb what is true and integrate all the parts of who you are (emotional and cognitive). I am all about moving forward, hence the name of my practice: Journey Forward. It is a tough journey, but one that is well worth it; I know, because I am on it, too! My training: I have a Bachelor's degree in Psychology and a Master's degree in Counseling. I am a Licensed Professional Counselor registered in the state of Colorado. Call or email me to start your Journey Forward!